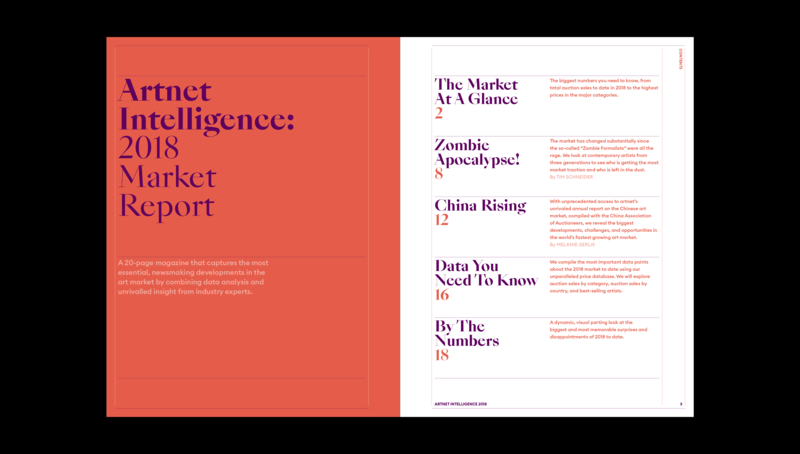 Produced for Artnet News, Artnet Intelligence 2018 is a digital magazine highlighting key developments in the art market in a visually compelling, easily consumable format. 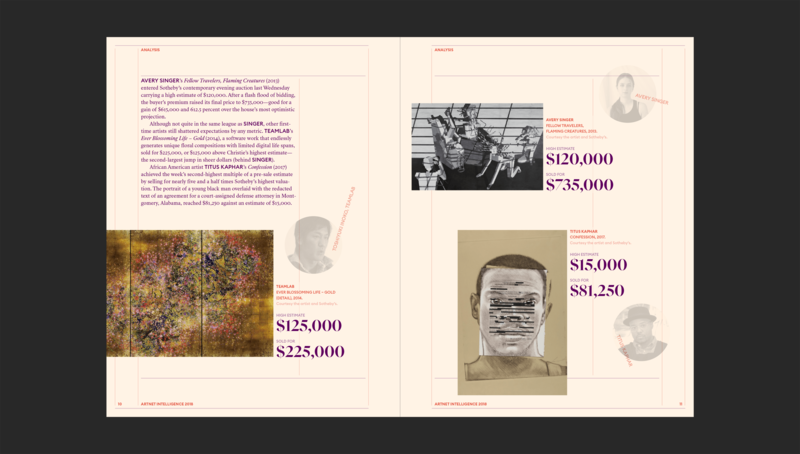 Data-heavy subjects, such as art prices, estimates and sales rates, are presented in a typographically playful yet intelligent manner. 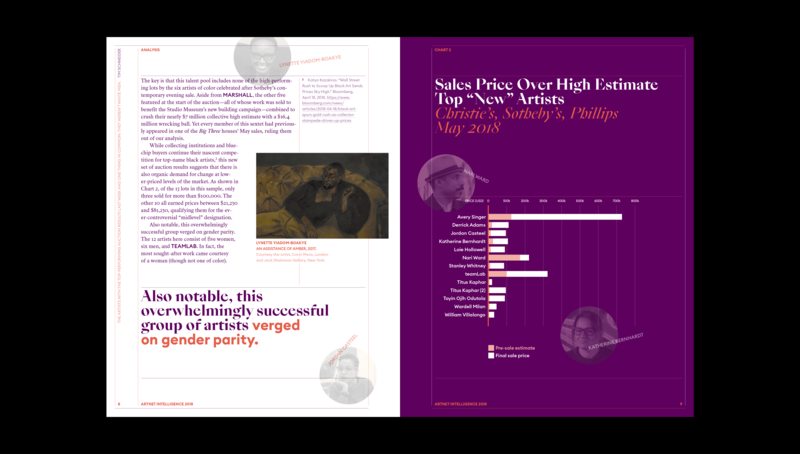 Highlighting this dynamic nature, artist portraits and artwork images are placed without being constrained by the page grid. 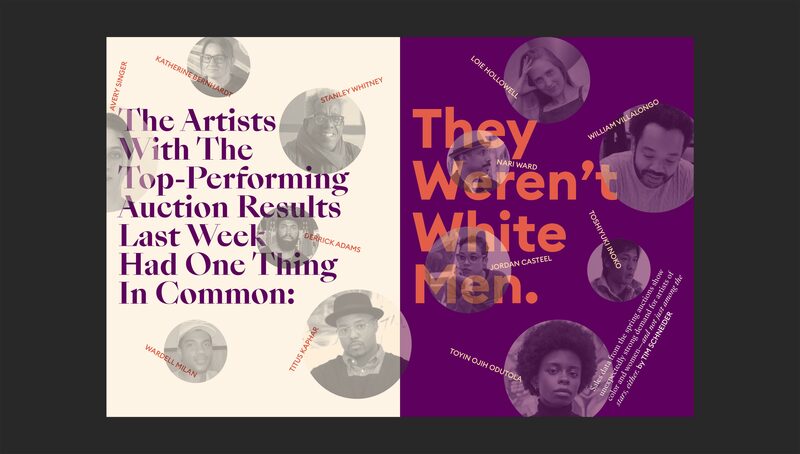 Typefaces used: Euclid Circular B, SangBleu Empire, SangBleu Republic.